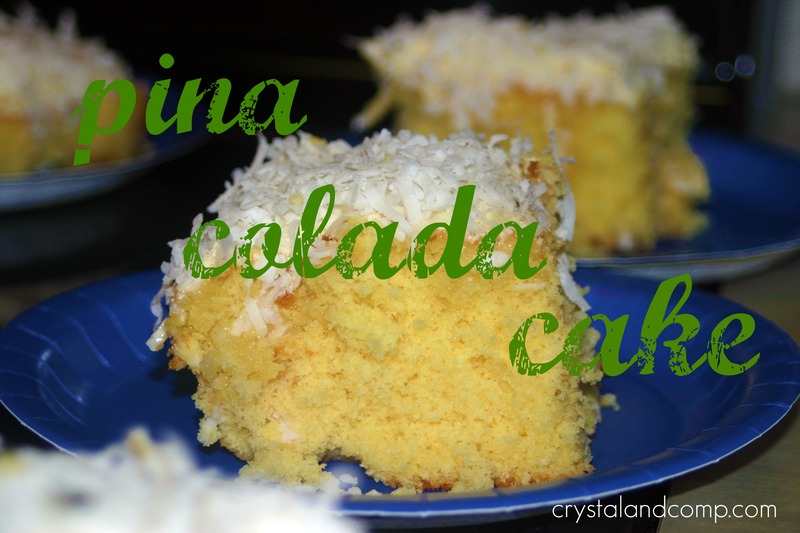 Have you ever had Pina Colada Cake? Until a month ago at my mother’s house. Prepare your yellow cake mix as the box instructions. 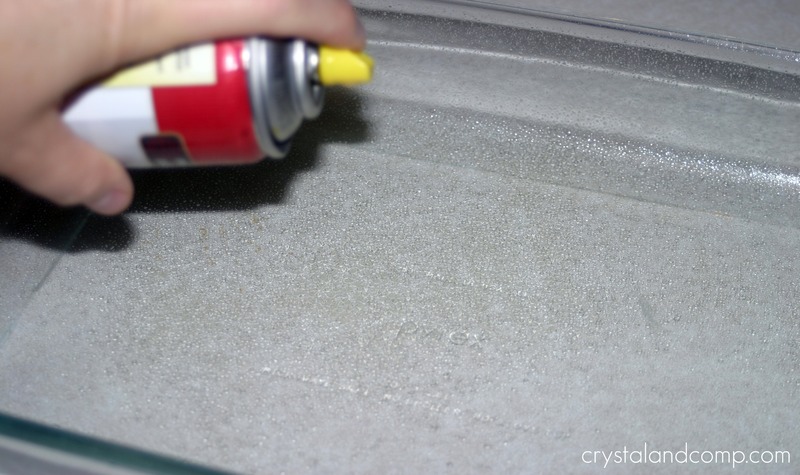 Spray the inside of a 9×13 cake pan with non-stick spray. My mother says you MUST use a metal cake pan. I used a glass pan and my research shows the cake tastes just fine either way. 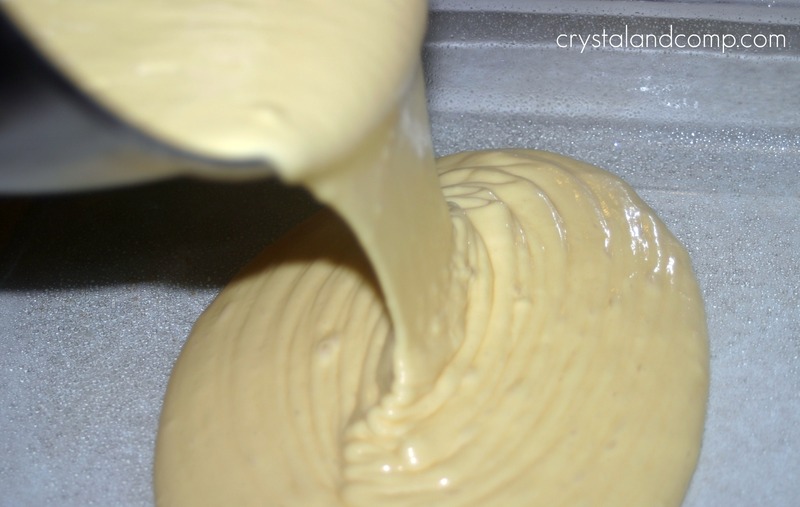 Pour in your cake batter. Bake according to the box directions. Likely at 350 degrees for 30’ish minutes. 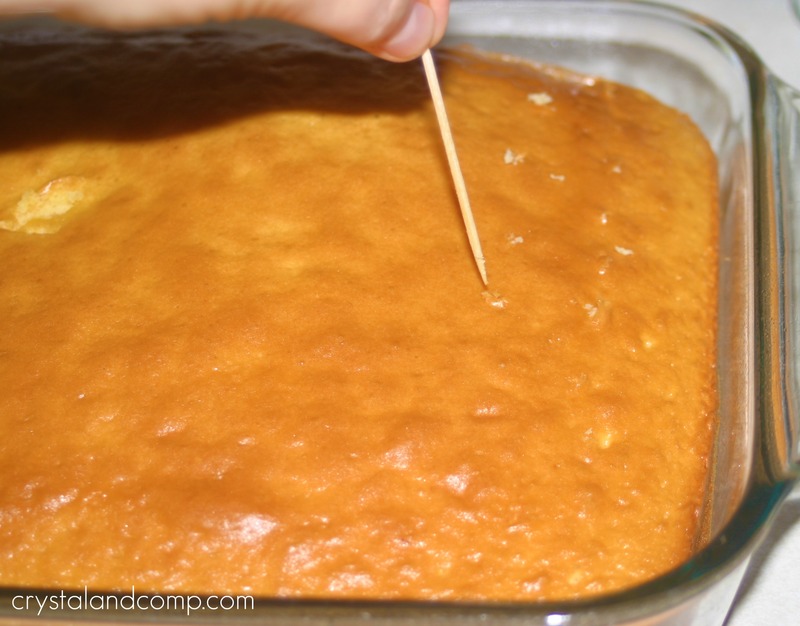 Immediately when the cake comes out of the oven, use a toothpick to poke holes in the cake. Lots and lots of holes. I asked my mother if you could use a fork to poke the holes, she said no. You MUST use a toothpick AND it MUST be done as soon as the cake comes out of the oven or the cake will self destruct. 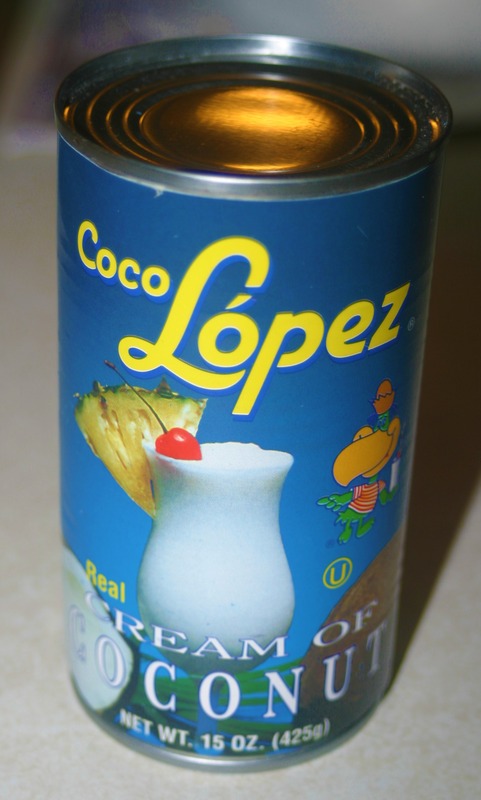 Next, open a can of cream of coconut. My mother says it is really important that the can is blue with a ship on it. My can was blue with a parrot on it. Shake the can well before you open it. 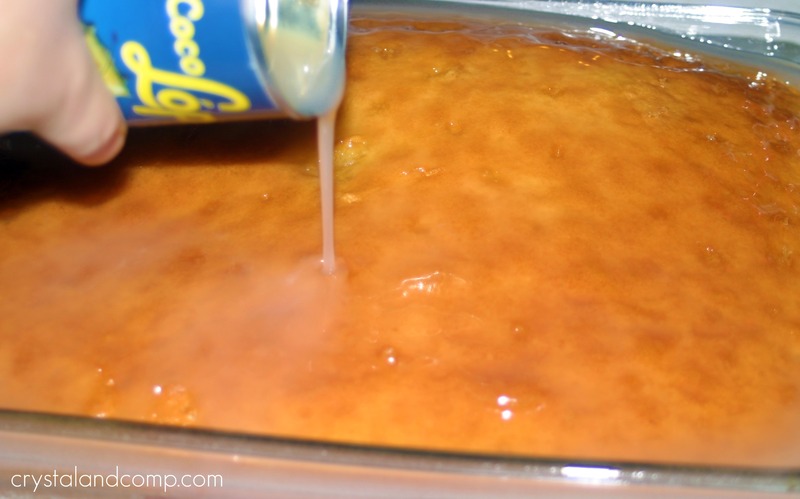 Once open, pour the entire can over the cake. Now, let the cake cool 100%. 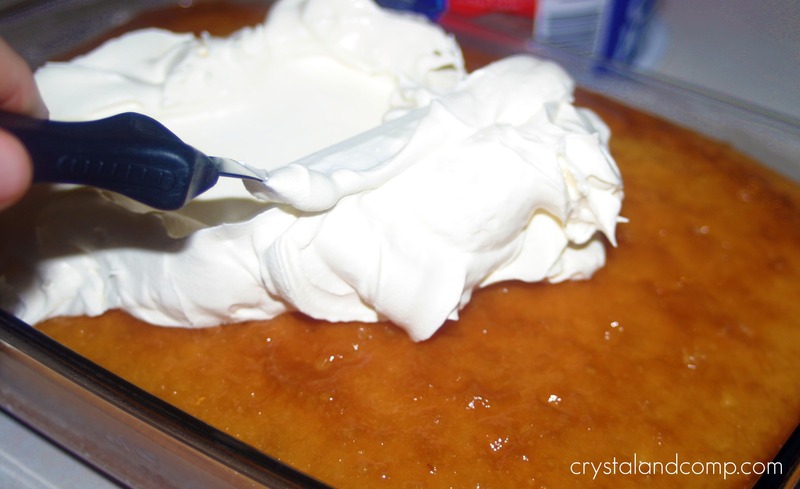 Once the cake is cool, grab your thawed, but still in the refrigerator, whipped cream. 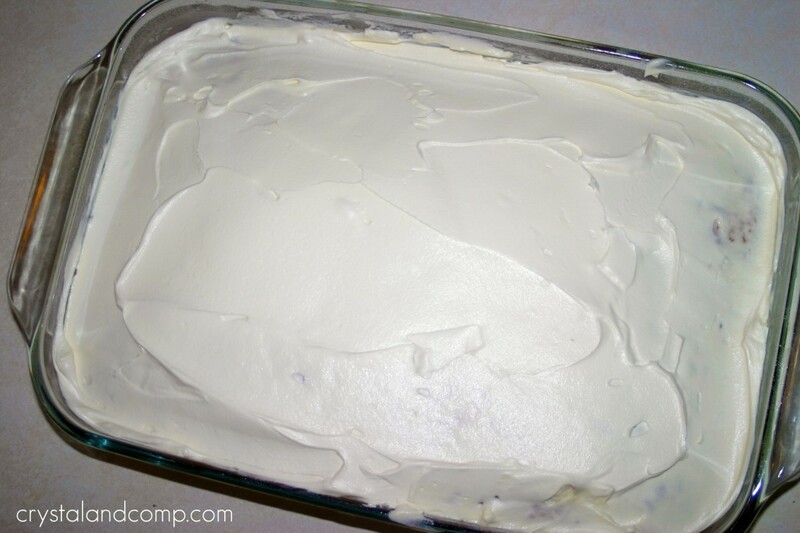 Smear one tub, or 3/4 of the tub because your children got into it, over the top of the cake. Sprinkle coconut flakes over the cake. My mother uses an entire bag, which is close to 2 cups. That is a little much for me. I end up using about 1 cup. And my cake did not implode. Slice and plate it up. Best when eaten after playing outside in the hot Texas heat. Use a fork or simply shovel it into your mouth by hand. No matter what, devour every bite. Thanks for sharing this recipe with such great instructions and photo’s. 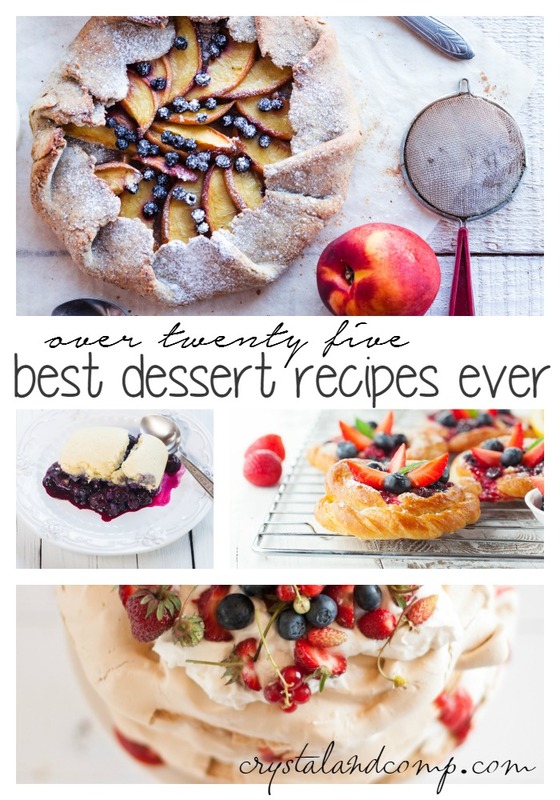 Shows us just how easy peasy it can be to make delicious treats! I think I love your mom. Imploding cake. Wow. Heidi, my mother…. she is wild. We always tell her she is out of control! That looks super yummy! Definitly a must try at my house. Visiting from WFMW. Looks interesting! We don’t like coconut here in my house though. I have never had pina colada cake before but that won’t last long. I will definitely be making this when I go home to visit. My friend will love it! what is so spastic about her directions? they seem very detailed. i like. yum! Hope you enjoyed the cake. This looks so good. I’m having a recipe only link party “Cast Party Wednesday”. This would be a perfect addition to my party. 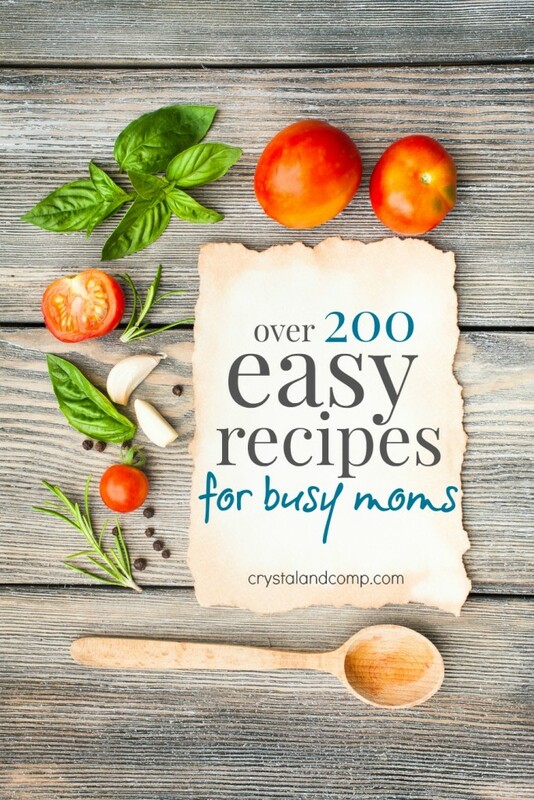 I would love it if you came by and shared some of your recipes with us. I love coconut! This looks delicious!!! Lovely! Cute little cake tester too! I’m going to have to give this recipe a try. Pretty sure I’d love this! Adorable photo of your baby and precious memories. That cake recipe looks so easy and the outcome so delicious, that is the kind I love. Thank you so much for sharing with Full Plate Thursday and sure hope to see you again real soon! Thank you Miz Helen. He is a love bug for sure. And a lover of cake. Mmm….boy do I love me some Pina Colada and this cake just looks fantastic. Marking in my fave’s file. Thanks for sharing such a yummy recipe! found you over on sugar & dots. You got it. Hope it turns out perfect. Sounds delish! Cute kid enjoying it, too! Stop over to enter Vintage Linen Giveaway! Yum! I will be trying this out next week. Thanks! Thank you so much for the feature, Christina! This is so cool! I am a new follower. Stopping by to invite you to link up to Thrifty Thursdays. Blessings! 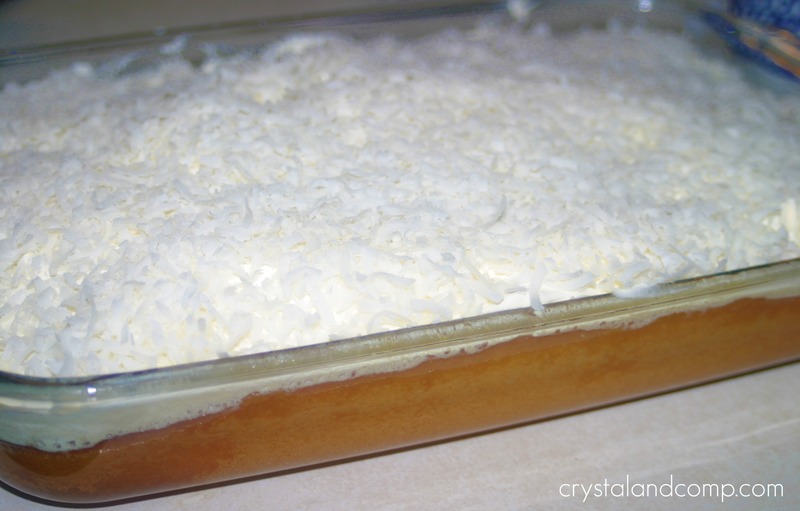 I make this cake too with the addition of 1 can of sweetened condensed milk poured over cake along with the cream of coconut. It is so rich and yummy! This looks DELICIOUS! Yum, totally trying this. 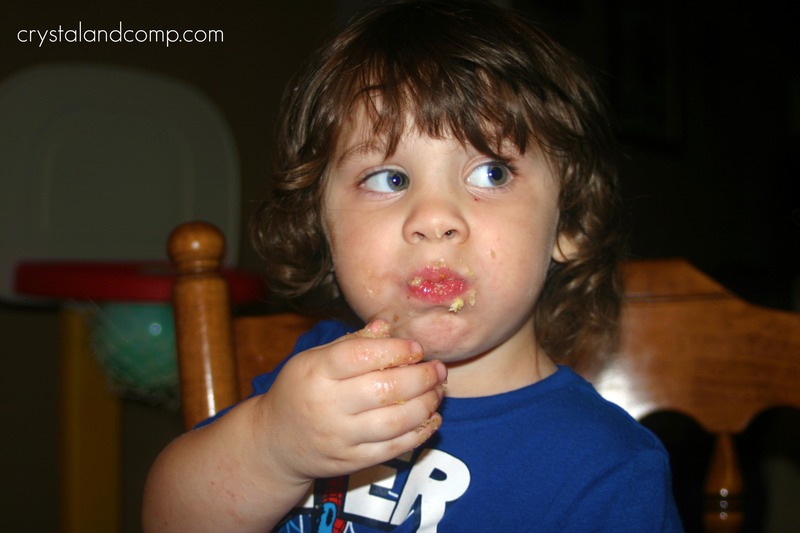 Thank you for linking up to EBTKS! What a beautiful cake! Great tutorial. Hi there – I just recently made a pina colada cake for someone’s birthday. It was my first time making. Mine was much different than this one, but this one still sounds good. 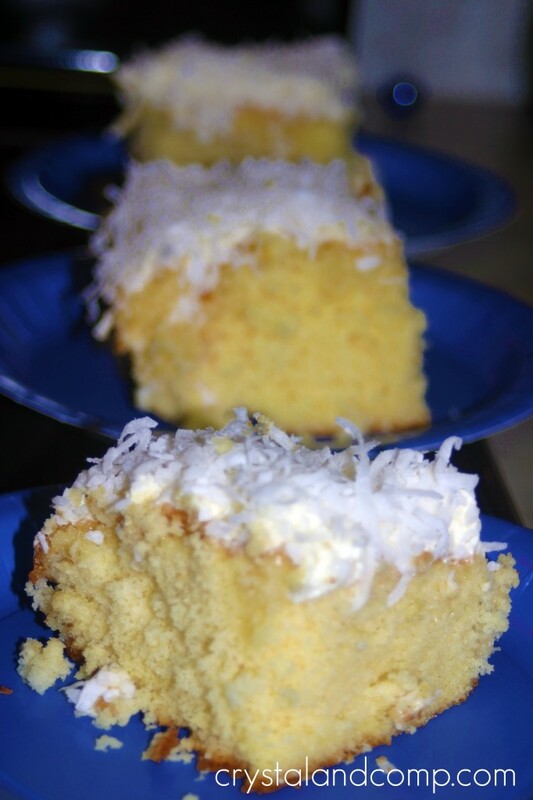 Just one question, though… is there any pineapple in this cake or is it just a coconut cake? I sooooooooo love coconut, I’m definitely trying this (if it wasn’t close to 11pm, I’d make it right now). I can’t wait to try this and I love the humor in this post. when do you add the pineapple tidbits? ts- there is not any pineapple in this version, but I bet that would be yummy. I would fold them in (drained) after you prepare the batter and before you pour it into the pan. Let me know if you try it. Thanks for reading. I have made this cake for years and everyone loves it. 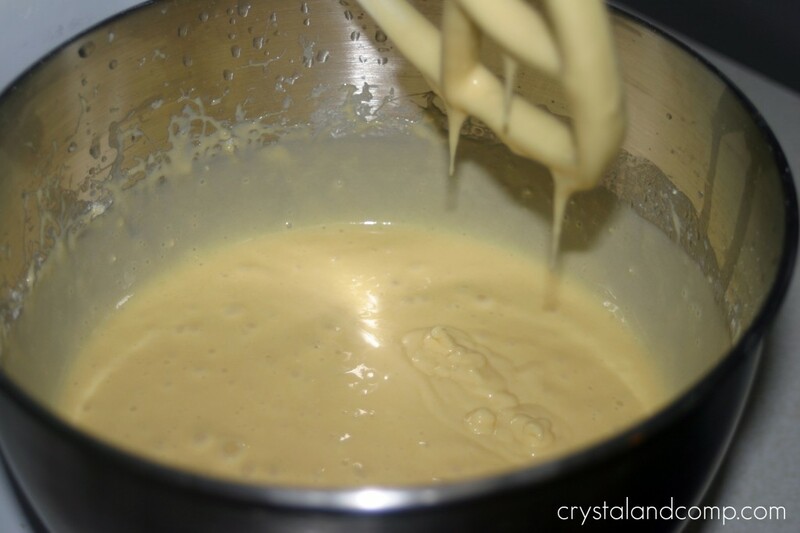 I add a small can of crushed pineapple (drained) to the cake mix. Adding pineapple sounds very tasty! I just this cake today and had to search for the recipe. I’m pretty sure this is it, except that the coconut on top was toasted and she added pecans on top as well. OH MY GOSH!!!!! Seriously delicious. Pecans on top so perfect! What a great idea, Kendra. I cannot wait to make this. I love coconut!!!!!!!!!!!!!!!!!!!!!!!! Awesome Angela. I think you’ll love it. Looks delicious! I have used that cream of coconut stuff in a Pina Colada punch recipe before… it is thick and gooey… should be a wonderful cake! Sally @ Splash of Whine recently posted..Tasty Tuesday! Thanks for your kind words, Sally. My mother will be happy to know you find it looks wonderful. That sounds delicious! I can’t wait to try it, it’s perfect for summer. Sounds like the perfect summer treat! 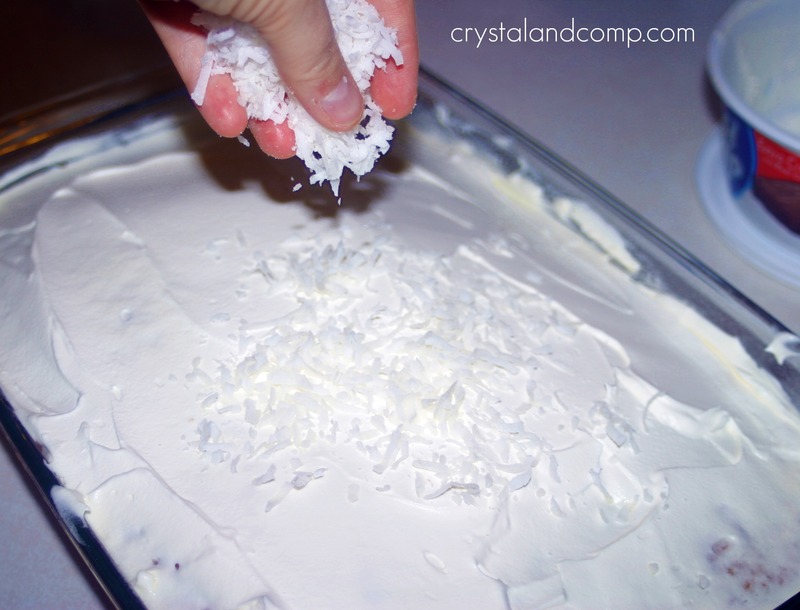 Crystal, This Pina Colada Cake is awesome. Your son is so cute and your mom is very wise on her directions. My mom thinks like your mom too. Very unique recipe. Congrats !! It’s missing rum. What’s Piña Colad without rum? Would it hurt to add a little to the batter or would the cake implode? No clue. Try it and let me know. Wear goggles in case the cake implodes. Pina Colada translates to pineapple and coconut. Although this sounds like an amazing Coconut cake the name Pina colada cake is completely misleading. I will let my mother know. It’s her family recipe.